in Des Moines, Iowa with the Reverend Bill Huffey officiating. 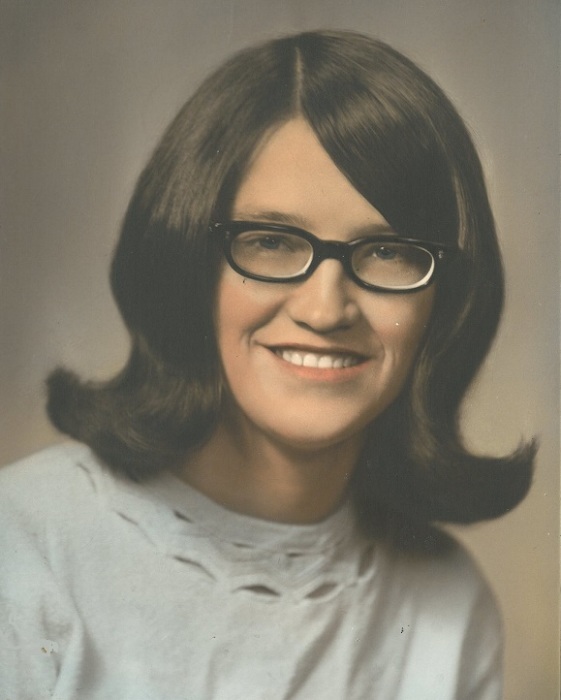 Irene L. Nelson, 68, of Gravette, AR, passed away April 9, 2019 at Mercy Hospital in Rogers, AR. She was born August 10, 1950 in Waukon, IA to Reverend Lloyd Leland Huffey and Myrtle Leona Braider Huffey. She was a unique blend of spirited selflessness, kind, giving and hardworking. She loved reading, puzzles, board games, bowling, bumpy flights, floating in water, gambling, loud TV for sleeping, Aldi sauerkraut, teaching the grandkids how to play cards, drive cars, and undermine their parents, not shopping, being independent, and most recently, leggings. She was preceded in death by both of her parents and two brothers, Wesley and Jerry Huffey. She is survived by her husband, Jay Nelson; her children, Brandi Nelson, Travis Nelson, Natalie Singh; her grandchildren, Gaggan, Sandeep and Reena Dhillon, Jenna Blackman, Sophia Pedwano and Gracyn Nelson; her siblings, Lillian Kletski, Barbara and Ed Dixon, Jim and Sally Huffey, Tommie Ranstrom, Bill and Sylvia Huffey, Darlene Lawson, David and Laurel Huffey, Richard and June Huffey, Martin and Vicky Huffey, Ernest and Vicky Huffey, Ron and Ruth Huffey, and numerous nieces and nephews.